Two years ago, I attended a storytelling workshop run by Performance 4A. The purpose of the workshop was to delve into our stories, and it was here that I began the journey of discovering my own ancestry. For the longest time, the theme of belonging has persisted throughout my life. Reflecting on my life, I was intrigued with my grandparents’ story. 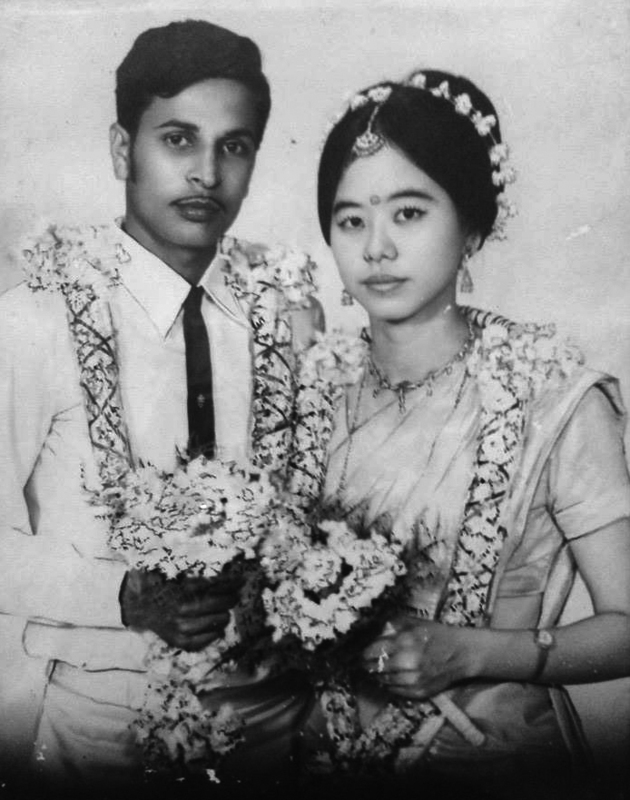 Back in the mono-racial era, when marrying outside the caste let alone your community was considered taboo, I was inspired by the story of my paternal grandfather, Mahalingam Pillay, an Indian-Tamil from Thanjavur, Southern India who fell in love with and married my Chinese-Nyonya grandmother, Ang Ah Hee. My father used to tell me about their union and how my grandmother was eventually disowned by her family for marrying my grandfather, a dark-skinned Indian man. From as far back as I can remember, I distinctly remember my Mum explaining to me why the term ‘Chindian’ is more fitting than the official race on my birth certificate: Indian. 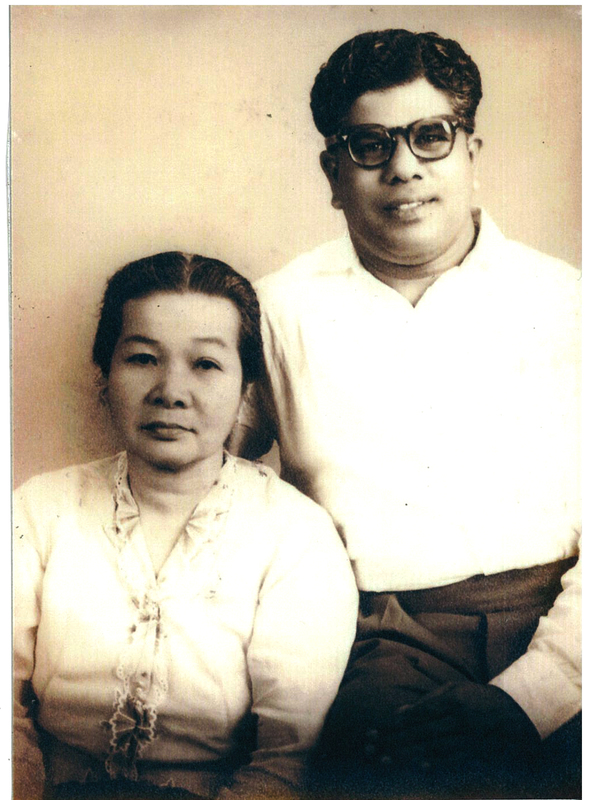 ‘Chindian’ is an informal term to refer to person of both Indian and Chinese ancestry in Malaysia and Singapore. It loosely refers to families of mixed ethnicity, who trace their ancestry to both China and India. The Malaysian government, considers Chindian to be an unclassified ethnicity, using the father’s ethnicity as the official term. 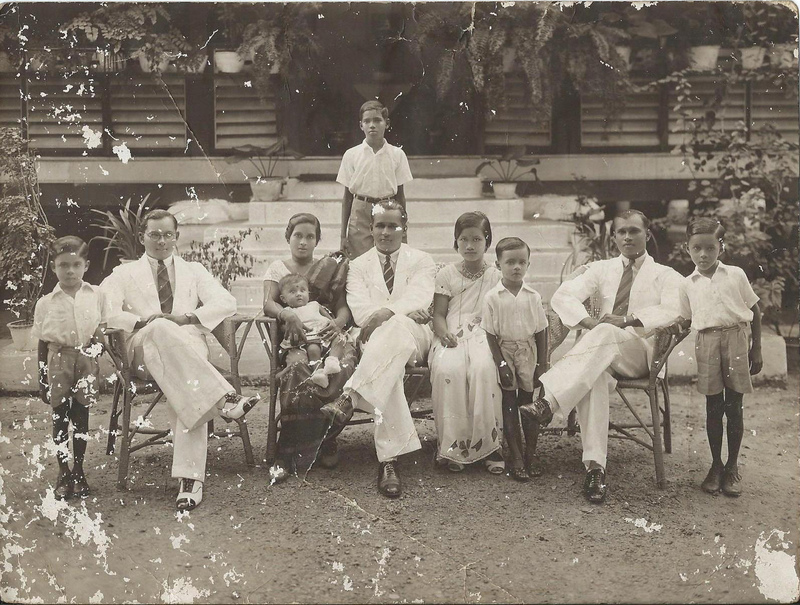 As the majority of Chindian marriages usually involve an Indian male and Chinese female, the majority of Chindian offspring in Malaysia are classified as “Indian” by the Malaysian and Singaporean governments. My identity crises stem from the fact I had come from a mixed heritage, Chinese and Indian. The idea of belonging to one dominant race and culture has never resonated with me. Add to the fact that, my own home country, Malaysia, has denied my existence as a citizen of the country – despite my being born there, and having no other “home”. In the past 20 years, the politics of the country has been advocating for more “supreme Bumiputera (indigenous) rights” of the Malay race, and for the other races, in particular, the Chinese and Indian population, to be reminded that they are merely “visitors” (pendatang) to the land, despite the fact that most non-Malays were born in Malaysia and consider it their home too. 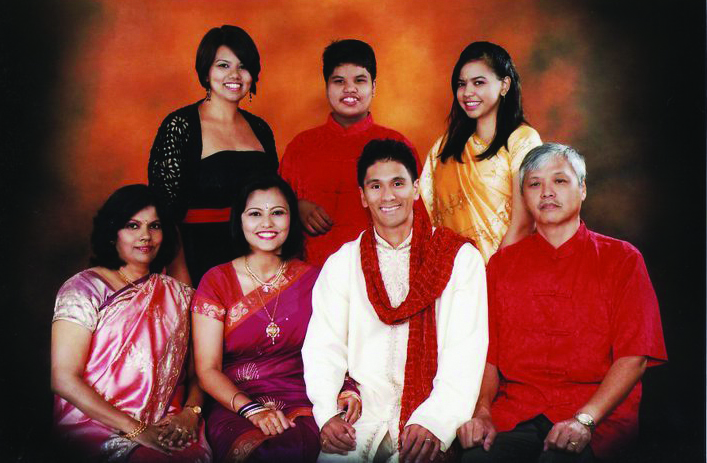 Singaporean statistics tell us that up to 2% of Singaporeans are Chindians. However, Chindians are only recognised in official records by their paternal lineage. It is only recently in 2010, that the Singaporean government allowed parents of mixed race to record both races on their children’s identity cards. Today, mixed race faces have often been said to be the face of the modern world. Flick through most fashion magazines and you would notice a surge in multiracial models and celebrities prominently positioned alongside blonde-haired blue eyed models. Even retail giant David Jones has signed on half Singaporean-Chinese, half Portuguese model Jessica Gomes to replace supermodels Miranda Kerr and Megan Gale as the new face of its brand. 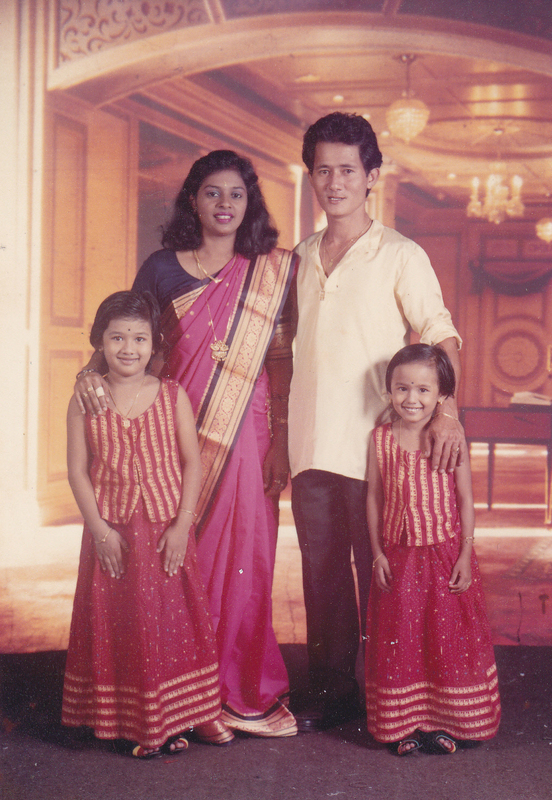 In the South East Asian melting pots of Malaysia and Singapore, the experience of growing up biracial is not uncommon, particularly in the last five decades. The experience, however, has not been an easy one. 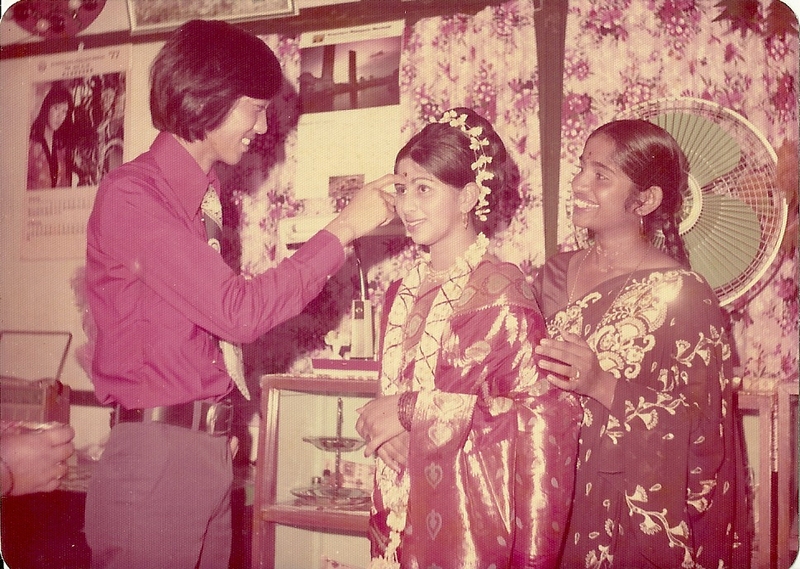 Chindian marriages, predominantly between Han Chinese women and Tamil Indian men, are characteristic in Malaysia and Singapore, where large populations immigrated during the 19th century. 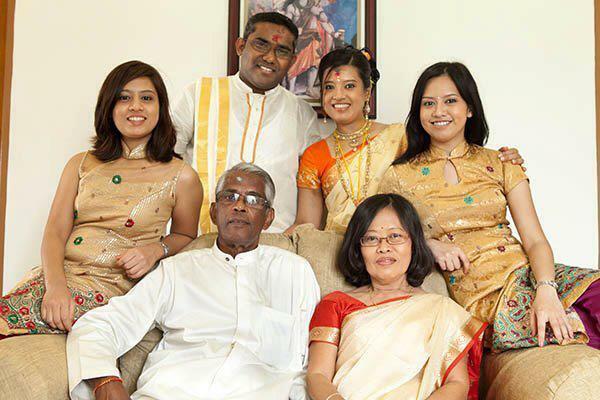 There are a sizable number of Chindians living in Malaysia, Singapore, Hong Kong, Canada, UK, United States and smaller numbers in other countries with overseas Chinese and Indian diaspora, such as Jamaica, Trinidad and Tobago and Guyana. Most Chindians lean towards the Indian culture, only because there were more Indian men marrying Chinese women from the 1950s till today. 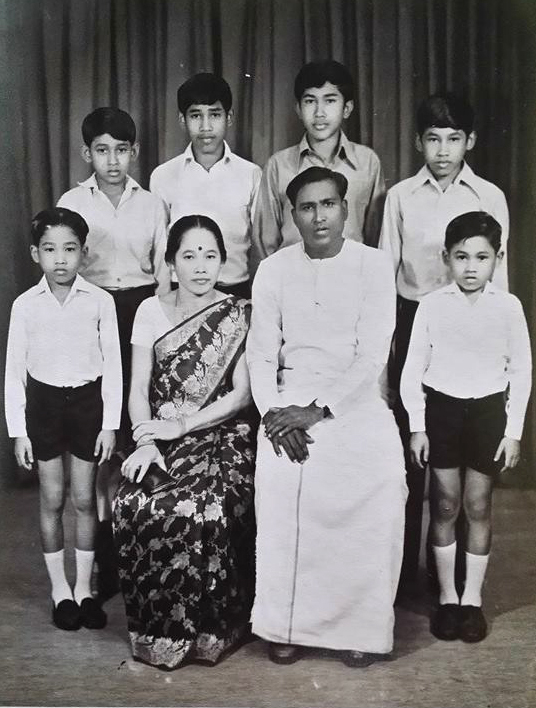 For families with an Indian father, it was common to see the children follow the more dominant paternal culture. This paternalistic pattern is a remnant from older British Colonial times. 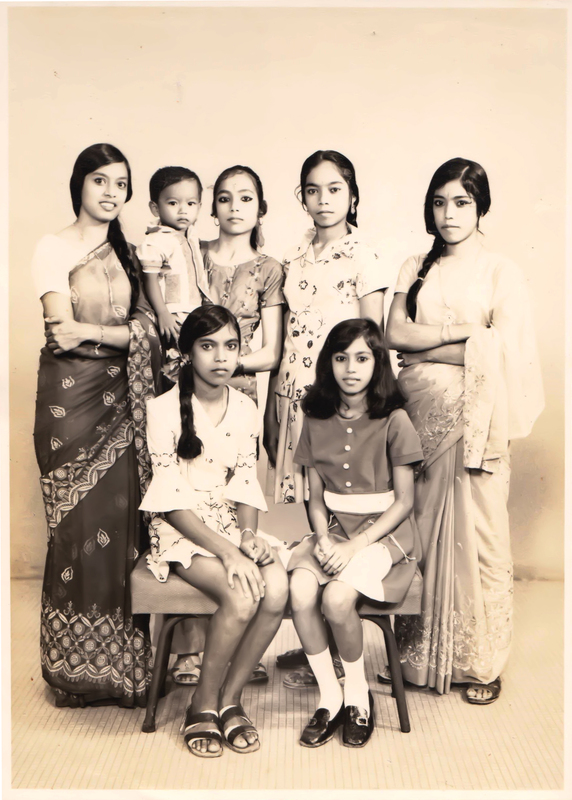 Soon, I realised there was a lack of documented Chindian stories, and decided to capture these stories and photos from Chindians. In 2013, I started “The Chindian Diaries” project to primarily trace my own roots and explore my own cross cultural identity. 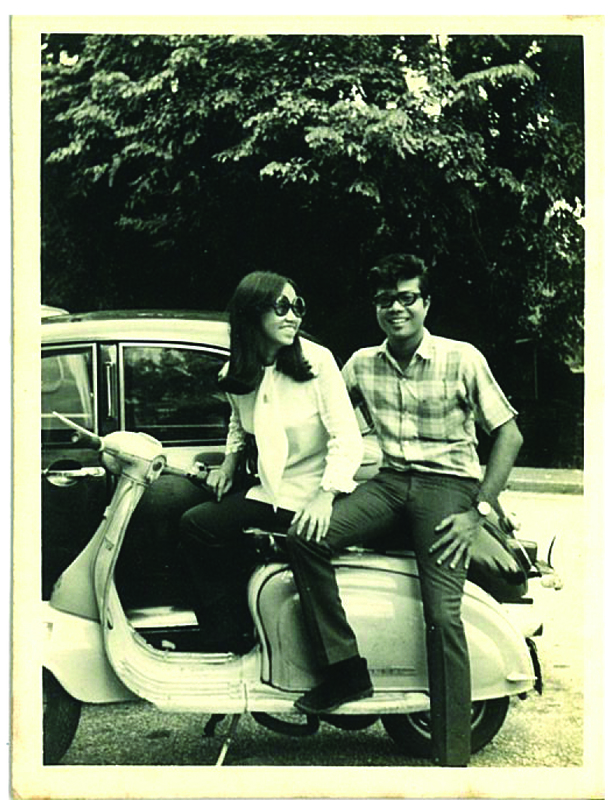 The project aspires to collect and document stories from Chindians and Chinese-Indian couples. 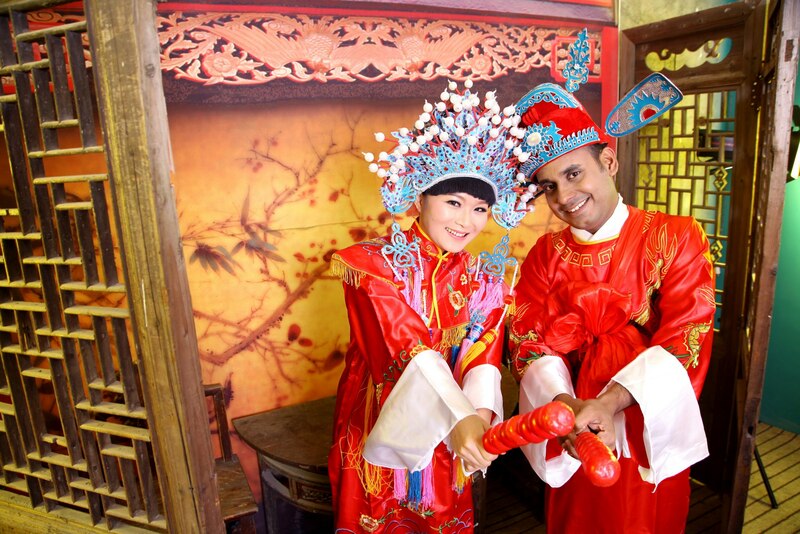 It is focused primarily at the Chindian culture but is open to stories from other mixed marriages. By gathering these collective stories, it is hoped that they will form a greater, overarching cultural narrative for the Chindian culture, reclaim forgotten cultural roots and instill a sense of belonging for the Chindian community. Most of the stories from the project varies from identity crises, cultural clashes, struggles and misunderstandings, to stories of love and acceptance. Cumulatively, they help to form a deeper understanding about some of the cross-cultural issues that emerge from mixed marriages. Two years on, the project has turned into an exploration of rich stories that seeks to define individuals and couples who identify themselves as Chindians. It pays homage to both cultures and questions the impact of mixed marriages and mixed-cultural identity. Having moved countries from Malaysia to New Zealand and now in Australia, I am interested in how culturall- diverse communities negotiate their ethnic identities, as well as where mixed ethnicities find their place in society. Being Chindian has made me look at the issue of race differently, and it has allowed me to find common ground with people from all different races and cultures. Looking over the interviews with Chindians, most of them do feel a sense of belonging to both Chinese and Indian cultures. Whichever culture they resonate with more depends on their upbringing. With Chindian weddings, for example, most of them have the traditional Chinese tea ceremony and the Indian temple wedding to honour both sides of their heritage. As they grow up, they eventually find the beauty of coming from a mixed background and are proud of their Chinese-Indian heritage. The project paints the hardship as well the beautiful aspects of belonging to the Chindian culture. The main intention of the project is to collect stories and photos that showcase a subculture that is often overlooked and rarely ever written about. Today, the project on Facebook has become a much-needed forum for Chindians worldwide to share their experiences and stories. As confusing as mixed identity can be, in the end, I would like to think that love will triumph all. and you can follow the project on Facebook.